Work for AWS Managed Services? Learning about AWS Managed Services? "Easy to manage and understand UI"
"Perfect Solution for Custom App Development"
AWS is a cost-efficient platform that can do just about anything. We're using S3 in particular to host files that aren't getting a lot of direct traffic, which is just about free for us. A lot of sites are hosted on AWS because of its popularity. Because of this, if there's an issue with AWS, a lot of the internet will feel the impact. More practically, the pricing structure is extremely confusing. At one point, we almost didn't go with AWS because we thought the cost was going to be astronomical. In reality, our month to month cost is typically under $10. We custom built a find a provider tool using AWS S3. Because of the flexibility of the tool, we were also able to integrate it directly with the site using Drupal migrations. We decided to custom build this tool over using a SaaS due to two concerns: pricing and lack of control over data. AWS filled both of those voids and we are expecting to have completely recouped costs about midway through our next fiscal year (about 12 months). "AWS Managed Services - Intuitive & Useful"
Amazon Web Services' Managed Services enables my business to provide a professional appeal due to the amount of services they offer. From Automated Attendants to email marketing, AWS has it all. Pricing is cheap and they offer grants depending on the type of business you own. If there is one thing I dislike about AWS Managed Services, it would be the amount of tutorials available. Although most is self-explanatory, people who are not in the field of IT can easily get lost. When considering AWS Managed Services, take into account what they have to offer and what you need. If you need about 3+ of their services, consolidating into AWS would be right for you, affordable too! With AWS Managed Services, we are able to run most of our processes through one provider. From emails to facial recognition, we are able to take full advantage of their systems. All of which can be consolidated onto one invoice, making it easier for us in terms of the technical and financial viewpoints. "AWS Managed services best tecnology 2019"
Our development team uses Apache framework although AWS is applicable to just about every major framework available which allows us flexibility for bringing in projects that are outsourced,Best in setting up the code review . My start up uses it for software Dev. Its awesome . Smooth workflow and security patch is grear. There is a steep learning curve in adjusting the way the AI analyzed our data. We have spent more time on just tweaking the beneficial data we want from the system than some of our recent big projects. The only thing to dislike is the initial set up pitfalls. You can begin use without complete tailoring to your staff. Once you make those changes it's great. Is the best database if you have host. It a very robust database. For the rest of applications like data analysis there are a way better solutions at the moment Define the project very well if the AWS database manager is required since it could be expensive to maintain the infrastructure depending on the installation and configuration. Once we got it off the ground it was a great tool set to provide metrics while doing it in comprehensive way. We never had as many in depth metrics to help us established accountability We use AWS' AI particularly for computer vision and analyzing large amount of data. Our company's projects usually involve Amazon's AI to give us the best information from a set amount of data. A surprise benefit of the program is that it did not require a contract. "¡Estamos encantados con lo servicios administrados de AWS!" Lo que más nos encanta de los servicios de AWS es que hace mucho más fácil la administración de la infraestructura de AWS, lo que nos permite, como empresa, concentrarnos solo en operar las ventas, también nos ha ayudado mucho a reducir la carga de trabajo técnico y reducir drásticamente los riesgos operativos dentro de la empresa desde hace más de 1 año. En general, nos encanta porque realmente pagamos por lo que usamos como empresa y no incluye precios adicionales, solo por lo que usa, ¡eso es encantador! Estamos muy contentos con los Servicios Administrados de AWS, ciertamente lo consideramos para proyectos realmente importantes y escalables. Hay muy pocas cosas que no me gustan, Amazon se ha esforzado por conseguir un producto muy bueno y lo han logrado con los Servicios gestionados de AWS. Realmente es un producto magnifico, aunque me disgusta un poco el precio, tal vez podrían analizar bien los gastos, pero en general es un producto destacable. Nos dimos cuenta de este problema y decidimos contratar a un profesional. Recomendamos los servicios de AWS Managed Services y teníamos curiosidad por probarlos. Desde el primer mes que comenzamos a ver resultados, decidimos migrar toda nuestra infraestructura a AWS Managed Services y, a partir de ahí En este momento hemos crecido mucho como compañía, ya que no nos preocupamos por mantener toda la infraestructura de AWS. "The perfect Cloud Base Service for our Company"
AWS is an effective platform that can do just about anything. Their cloud base system are top notch, we barely have issues sending company's files to the cloud, and handling them was very easy from our end. We're using S3 in particular to host files that aren't getting a lot of direct traffic, which is just about free for us. To me or the company, I have no dislike other than a lot of sites and company's data are hosted on AWS managed system because of its popularity. Because of this, if there's an issue or outbreak with AWS, a lot of the internet will lost a lot, which is not good for business. Moreover, the pricing packages are good to me because they are affordable. We custom built using AWS S3a tool to find a provider, why, because of the flexibility of the tool. We also used Drupal migrations to integrate directly with our our site. We decided to custom build this tool because of the issues we had using a SaaS due to two concerns: pricing and lack of control over data. AWS was able to give us that without issues of controling data at an affordable price, and we are expecting to have completely recouped costs about midway through our next fiscal year! "El mejor servicio de administración de infraestructura es AWS Managed Services." Lo que más nos gusta de los Servicios gestionados de AWS es que simplifica mucho la administración de la infraestructura de AWS, lo que nos permite, como empresa, concentrarnos solo en vender el producto, nos ha ayudado mucho a reducir la carga y reducir drásticamente los riesgos. operativos dentro de la empresa. Lo que más nos gusta de AWS Managed Services es su precio, es relativamente más barato que otros servicios de administración. En general, nos gusta porque realmente paga por lo que usa, no incluye precios adicionales, solo por lo que usa, ¡eso es realmente genial! 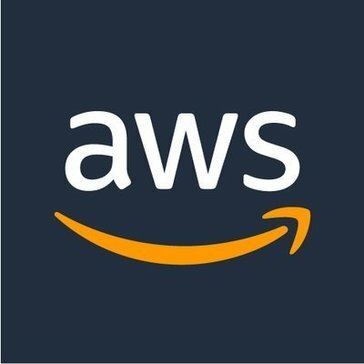 Lo que menos nos gusta de los Servicios Gestionados de AWS es que tal vez al principio, como una pequeña empresa, los precios son un poco altos, ya que como una pequeña empresa no tiene presupuesto para alimentar una infraestructura completa, pero sigo sintiendo que sigue siendo realmente bueno precios. "AWS Managed Services has helped us a lot in our company"
What we like most about AWS Managed Services is that it simplifies a lot the management of the AWS infrastructure, which allows us as a company to focus only on selling the product, it has helped us a lot to reduce the burden and drastically reduce the risks operatives within the company. What we like least about AWS Managed Services is that perhaps at the beginning as a small company the prices are a bit high, because as a small company it has no budget to feed an entire infrastructure, but I still feel that it is still really good prices. AWS is one of the better cloud services out there with a variety of support on Windows and Linux. A few things I like is the EC2 services where you can get small boxes to really big boxes with SSD's, Route 53 which is their DNS service, database as a service, BI as a service, Cloud watch. Beanstalk is limited and can use only Tomcat for JAVA API. Auto scaling is based on cpu and memory which does not work in all scenarios, Cloud watch does not have default alarm for memory, You cannot turn off Aurora database, you can terminate only, AWS Kinesis is one of the few products where you pay even if it is not in use, AWS Kinesis also does not scale easily or automatically. There are some costs for data which are really hard to figure out. Virginia region gets the most updated software but it is known to have the most issues. I wanted to move everything to Ohio but it is one of the last regions to get updates. - Use Amazon calculator to figure out cost upfront so that you know what to expect. We setup our entire site on AWS for dev, staging and production environments. Every server and service was built and managed on AWS. The good thing is that you pay for what you use except for few services. During development and testing, we kept our costs low by keeping less servers and as we got close to production, we added more servers. "AWS Managed Services offers quality services"
AWS Managed Services has helped us a lot in our company, we love being an active partner of AWS, since it helps us to offer technological solutions without the need to know a lot of technology, that's why we are delighted with the services offered. The aim is to help the big end of town migrate to the cloud, complete with the ITIL-compliant processes they need to preserve in order to feel confident about governance. The service can therefore work with preferred management tools and the policies they enforce, and cloudify them. You can choose which resources to assign to the AWS managed services team, which will then respond to any change requests you make. And also do the mucky stuff mentioned above, either at your beck and call or as a result of automation and/or machine learning to keep your corner of the cloud humming. "Powerhouse Server Infrastructure & Rapid Deployment"
The best part about AWS is the flexibility, scalability, and pricing. The speed to deployment is unmatched. I love being able to clone server images and deploy NODEs to scale up my infrastructure on the fly. We have been able to use multiple server deployments of Micro, Small, Medium and working up to Large Deployments. We have full control of these servers and have as many 18 Nodes at any one time. AWS's dashboard takes some learning curve. Unless you are an AWS engineer, it does take a while to orient yourself to the system. However, once we get the platform down, it is super powerful. Also, I dislike the Security Infrastructure.AWS uses a mix of private keys, secure logins, and *.pem security files. Out of the box, almost everything is blocked and you have to learn the Security side before you can even get started with the Server Configuration. This is a great product and a great scalable infrastructure. Having a flexible and scalable infrastructure has helped our SaaS to grow while minimizing overhead and deployment contracts. This is a great way to scale our infrastructure. "Build data platform using AWS"
AWS is one shop where you can find almost all SAAS which you can use to build your services. So using AWS you mostly focus on writing business instead of hosting service required for your service and this save lots of time for developer. If you want to build real time system ( actually NRT system) you can use AWS Kinesis Stream instead of hosting Kafka or RabbitMq and use AWS Lambda or ECS service to process it. I used 13+ AWS Services. All services are satisfy our use case, reliable, available except few like AWS Kinesis Firehose (error on high number of put request), AWS Glue etc. As we know for companies most valuable thing is Data. They use data to get business insights, trends, heat maps etc. We build data warehouse and data lake (or day data platform) using AWS and this platform this used inside company to get data driven decisions. "AWS Managed Services -Best for Provisioning Management"
AWS Managed Services conveys steady operations the board and unsurprising outcomes by following ITIL® best practices, and gives tooling and computerization to build effectiveness, and decrease your operational overhead and hazard. There's no drawback to security on IaaS . Actually many will contend that the capacity to scramble, characterize have based departure entrance rules, and gathering frameworks gives far unrivaled controls. Main concern is that whether physical or virtualized foundation is suitable truly relies upon the points of interest of your utilization case. With AWS Managed Services, we approach the information we are utilizing to deal with your framework, including Amazon S3 logs, CloudTrail logs, case logs, and constant information from the AWS Managed Services APIs. Moreover, your Cloud Service Delivery Manager will give a month to month rundown of key execution measurements, including operational exercises, occasions and their particular effect, and proposals to advance stage utilization. I love all the services offered by Amazon, especially EC2, S3, VPC, Application Load Balancer, Lambda etc. It is also allowing me to safeguard it from mad in the middle attack by providing encryption and 3rd party encryption options. There is nothing to dislike but as a developer, I can request to make the development environment free on AWS services and keep charge only for the production and real-world use software. This is an excellent product and helping all the developers and enterprise users to first try and then adopt it, which I like the most. It would be better if the cost for development purpose will be further down to 0. We are not having in-house development and production size hardware and AWS is helping us to solve this big problem which in turn is saving $$ for us. "AWS gets the job down"
using the AWS infrastructure can be a little daunting if you are not familiar or technically natured. I have switched all of my long term storage as well as notification emails over to the AWS system which has given me security knowing how it will continue to work. "Managed server infrustructure for medium and large businesses"
Easy to track service usage on its cloudwatch. Prices are tied on usage, thus you only pay for what you use. It offers a wide selection of free services like Amazon Chime. Its free tier is great for service under development. Some of the managed services are not available in all regions. The costs could be high for small companies with tight budgets. Special skills are required when deploying some of its complex services thus the need for trained specialists. The best server infrastructure available. Great for medium and large businesses. For small businesses, the services could be costly to maintain. "The best server infrustructure for big companies"
It offers unmatched scalability and amazing usage-based pricing. All services are well encrypted thus very secure from the man in the middle attacks. Easy to set up cloud formation. Easy to use and intuitive interface. It also has great free services. Its services could prove to be way expensive for small companies with tight budgets. Some services are not available in all regions, for example, Simple Email Service is not available in EU Frankfurt for now. AWS Managed Services is perfect for medium and large companies. Trained AWS specialist would be required when making complex deployments. Using Amazon Managed Services allowed us to scale our applications well. It also helped us speed up our deployment processes. "AWS MANAGED SERVICES CONFIDENCE "
AWS is applicable to just about every major framework available which allows us flexibility for bringing in projects that are outsourced best in setting up the code review. We have spent more time on just tweaking the beneficial data we want from the system than some of our recent big projects. you can begin use without complete tailoring to your staff once you make those changes its great. for the rest of applications like data analysis there are a way better solutions at the moment define the project very well if the AWS database manager is required since ir could be expensive to maintain the infrastructure depending on the installation and configuration. Once we got it off the ground it was a great tool set to provide metrics doing it in comprehensive way. the metrics to help us established accountability we use AWS al particularly for computer vision and analyzing large amount of data. "Automate infrastructure management tasks with the collection of tools." We can consider about only for our applications deployment and we can let the AWS managed services do the rest of the work.It will reduce the work load and risk for the business.This solution, will improve agility of the applications and organization.Also increase productivity within less time. It is a very powerful and scalable platform which is easy to work with.AWS Managed Services deals with the day-to-day activities of our infrastructure in arrangement with ITIL processes.Also it will provide deep security protection for our infrastructure.With the AWS Managed Services , we can easily maintain highly structured infrastructure.Without any cost we can get the support from the AWS enterprise support which is very supportive. There is a steep learning curve for those who are beginners , but if we follow the documentations we can easily work with the AWS Managed services.Other than that, I did not found any cons regarding this platform. It is a very reliable platform which we can ensure that it will manage the tasks of our infrastructure efficiently and effectively. It will reduces the cost and improve the agility while increasing the productivity of the organization. With the end-point protection level is high we can ensure that our infrastructure and our business environment are protected.We can get the support for any issue while working with this AWS managed services platform.Also , all the AWS operations are managed carefully and efficiently.We can have quick changes via requests and get the work done . "Another Great Product From Amazon"
All of it, starting from UI to monitor the instances, creating multiple VPC, selecting and configuring database, template creation via Lambda expression etc to access the same via code of our application. Another thing is security where AWS has saved us and we can deploy the application without worring on security ascept of our application. AWS is of great help to all the companies who does not want to invest on infrastructure due to many business/budget factors. Also, customers has ability to spin multiple nodes up depending on the load of an application. Another excellent product from Amazon. There is absolutely nothing to dislike, however I will request sales team to come up with various promotional offer to use new service as it will help all the customers to learn try and then buy the product. There is nothing in specific to recommed to Amazon AWS team, however if the sales team come up with some promotional offer to use the service and try out for few months before buying /implementing then it will help all the customers to review, use and explore the product before adopting it. Also sometimes lacks of knowledge is also making people to explore other solutions in the market. We are having a product and we are also offering solution over cloud to all our customers, specially to those who does not have in house infrastructure ready to run our software. Liked the ease of use, accessibility, and customer service expertise. Very easy and efficient app to use. Software is easy to learn and get accustomed to. Nothing really - app works well for me, no complaints whatsoever. Would very much recommend to anyone who is thinking about switching the software that they utilize for their e-commerce and/or retail business. A 10/10 software that rarely glitches, bugs, et cetera. AWS Managed Services is a wonderful software if you are in the e-commerce industry or corporate level of retail. My company greatly benefitted from the implementation of this software. Solving problems with e-commerce and financial obligations. As for benefits, we have realized plenty; this software has worked very well for us as a team. Communication has improved tenfold, we have sold much more product due to more efficient software, and we have had more time allotted to do more with other aspects of the company, like our inventory and our more prominent, long-term goals. As someone with little to no experience in IT, this site was great! It was easy to use and the interface was really convenient. They had unique functions I had not seen in other programs and had easy to follow steps when using new functions. We used several other platforms before this but finally settled because it absolutely provided us with the best service. There were a couple of questions that I had, but unfortunately, the support team was unable to help me through it. The pricing is also a bit steep, but it truly has great functions that are not like other programs. This service is incredibly user-friendly and gives you access to tons of files. This makes the entire process so much easier for the entire enterprise. This product helped transfer our documents to a public cloud in order to share them easier. It also took the load off of our servers becuase it was processed on a public platform. "Satisfaction in administration and support is the perfect relationship in service operations"
The practice of attention in particular of certain operational things such as process protocols, makes it possible to increase the efficiency of certain recurring activities such as problem or initiation care, access management, security and control and even integrations this allows me as a company have an adequate and considered scope to my neuralgic center of operation. I have not yet discovered something that I say I do not like, I could think of a master center of operational control or audit where I show every step made by any operator or operation or administrator. I think the guarantee of having it is that I maintain security and control with some defense and a lot of operational excellence, I do not rule out the use of it in other companies that need this type of management because it is fully recommended. I have solved enough, first because I gather everything in a single control and then I have an answer to many things of my operative management that I did not maintain before. "Extremely easy to use and highly recommended"
"Great service multiple tools and programs"
AWS is made up of a humungous array of products and features, including so many plugins and add-ons from third parties. Wide selection of APIs. recommendable Strong security. Impressive selection of servers for both Windows and Linux OS. Offers all major Linux distributions. Extremely deep server support. I like the interface. everytime I checkin, its like hmmm got some business to do now, lets get it on. so many options and Choices are so complex that figuring out what the platform is going to cost can be very difficult and understanding what is best required by our company is confusing or complex. Costing is confusing due to so much of variety. i think even they took some good time determinig what could be done about the prices. help us by making the choices sound simpler or easier. at-least have a mini guided tour just to help us select what we want. what already exists isn't helpful enough. there are so many things aws can do better but there are so many things aws has already done amazing. so i would leave it to them to decide their fate. I use it for Setup, management, and monitoring which are supported in ways that are easy to use and intuitive to implement. "AWS Managed Services it's the next generation ITSM tool !" The practical application of ITIL basis can be enforced, you can apply change management as easy to setup in your console a EC2 deployment from day 1 of your project and start working and tuning it as the resources and peak points shows up you can manage from the way the components works Database integration and automation engines to run your microservices as well you can track down incidents with a very accurate event dashboard and minimize the downtimes by applying fault tolerance & redundancies policies just with few steps. I really don't like the fact that it'll be useful to have a mobile dedicated app to match the AWS Managed Services web tool and take it to the palm of your hand. besides that I couldn't find any other disadvantage over AWS Managed Servives. Be aware to build up a design that will meet your requirements basically that all AWS services run as pay as you go and most of the times can drain up budgets and ditch Cloud migration projects since the number may no fit to the finance requirements. Also you must enforce your development to setup an agile strategy to accomplish due times, iterations and go live process then you'll find and ally in all aspects within the AWS Managed Services. It save us a really huge amount of time by consolidating our run to daily basis task allowing us to automate engines that could easily solve up our maintance issues. Most we had the chance to test the AWS Managed services and had the chance to play around with the automation engines for our microservices and stack up a bunch of EC2 instances to test failover policies. "Helping Make Small Teams Very Productive"
We have a small team and we've been able to accomplish a lot in terms of building out a data lake and data warehouse with heavy use of AWS managed services: Kinesis Firehose for populating the data lake on S3, Athena for querying and ad-hoc discovery on the data lake, Glue for ETL into the data warehouse, Redshift for data warehousing, and EMR for data science prototyping with Spark. For most of these services, we (the data scientists/engineers) have required a lot of DevOps support to set appropriate IAM permissions to get started, but then it was truly no-ops. Documentation for new data processing services is often lacking or subpar compared to open-source projects; for example Apache Spark documentation and PostgreSQL have much better documentation than AWS Glue or Redshift. AWS is still fixing bugs on newer services like Glue. In particular, we've experience many job failures due to AWS-related service errors that we've had to spend dev time troubleshooting with AWS support only to learn that the cause is a known bug AWS has not yet fixed. For new services, get used to spending a lot of time talking to and waiting from responses from AWS support. We're using AWS managed services for data processing and building a data warehouse (EMR and Glue), ad-hoc data discovery and QA (Athena), and data warehousing (Redshift). 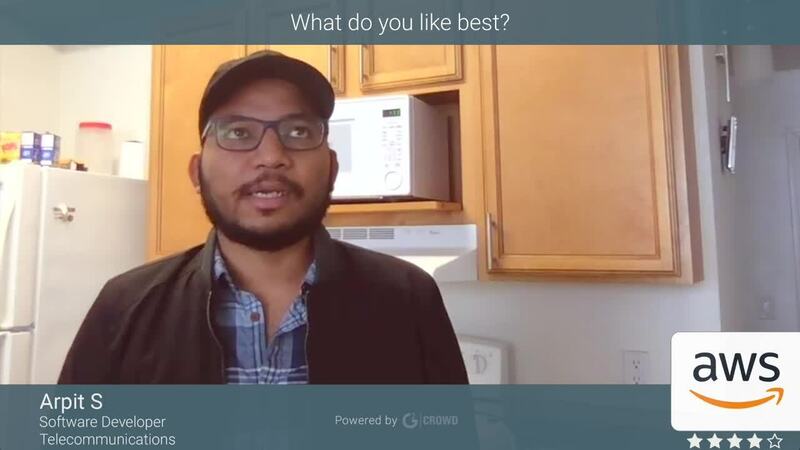 AWS is a soup-to-nuts platform that integrates easy with other products. It's an industry-leading product and is helpful to our entire team (the Customer Support widget is bar none, and it allows us to not have to visit our manager in the interim). I also like how I can login on the cloud without any issues. I was often disrupted with other products, but not with AWS. The company chose to go with AWS after looking for a stable, robust platform to use. I love that we can also work together in the platform and it has multiple uses for different levels of employees and leadership. AWS is a one-stop shop, and can be difficult to plus in with other products. The product is not as visually appealing as other products I've used on the market. There can be a learning curve, but again, it's not as difficult to use as other products on the web. Customer support is key, and Bezos' mission to put the customer first aligns well with ours. I like how simple the product is to use, where others required serious training, and put the company weeks behind in change management. "Nice setup and pretty good use and structure. " You only have to pay for what you are actually using. The S3 storage is super reliable. It works well with other applications! It has a super clean user interface and is great to organize. It's pretty simple to understand after an effective introduction and know how of the system. The cost is a little steeper than I would have expected and there is a slight learning curve, but once you've got it, you're good to go. Not all of the services are yet available across all of the regions, at least from what I've been able to determine. AWS would be perfect for a small to mid size startup that doesn't want to put up a ton of money for IT infrastructure. It's not for someone just wanting to host a small website, since there are much cheaper alternatives for that. It is very easy to spend more than expected. From start to finish delivering services to clientele and potential clients across multiple regions. Amazon Web Services had helped me create a virtual machine for running Linux so availability, security, reliability, and cost factors are all accounted for. I use S3 Storage, which, after learning how to use, has been extremely helpful! It's great for sending bulk emails and also continual integration of software development. "AWS is quickly becoming a competitor for future business ventures"
To start, there are a few useful features to the AWS service with the primary component stemming from the AWS cloud lines that can get data in a snap when requested. Also, the connectivity to the AWS servers is smooth and can be of use when voice over is in use. The formality that AWS integrated systems can store and share data procured during SQL requests and any other interaction between the user and the system lets alerts go off in my mind that in this day and age data sharing is a gold mine for 3rd parties. There are many recommendations to it with the main stemming from the AWS servers it uses. There will be a lot more noise made by AWS in the coming years if the company advances as it has been in the past. The intranet/conference call is enhanced by using the AWS powered service system. Also, by using AWS solutions, the system is then set like an AI by learning the business scope and re-applying it to future ventures when it deems the related project of similar interest. "I Wish I Had More Time To PROGRAM Alexa!" Last time I logged into AWS, I remember trying to build my first Alexa app. Pet Sit. I actually managed to add in the morning and afternoon routines for both my cats! I know I am capable of writing in whatever computer language that programs Alexa. My problem is, I have 3 jobs, and I also run an entire household without a car, so naturally I am very busy! For some one without a regular job. Be willing to take Webinars to learn to program in Alexa. It’s not that hard. I know that, as a woman with coding experience, I am capable of programming Alexa. My biggest problem is TIME. As in, I have too many irons in the fire! I can telll the Pet Sitter how to care for YaHabibi and Tippy. Alexa doesn’t distinguish between voices! She responded to my (now ex) boyfriend’s voice, too! Surprise! Gee, I would love to have the TIME to program Alexa. Heck; there’s e-Courses and Webinars. But I have to pick and choose. Too much scattershot does not make me wealthy. I need to EARN MORE MONEY. "AWS- Pay As You Go"
We adopt AWS Cloud services at our organization, It's very Cost saving for example if you talk on premises network we required physical servers, maintenance of that server, backup & storage so we need to hire third party company or resources, then electricity cost for the all network infrastructure. It is very high cost compare to cloud services. AWS will take care of all this so we no need to worry about our data backup and all things. Only pay whatever we use this feature is really awesome. With the help of AWS I can deploy instance in few minutes. Even AWS managed services provide very well management of Security with anti malware protections, instructions detection & prevention. AWS is actually little bit expensive as compared to Google cloud platform (GCP) . After that it's all OK about AWS sevices as compare to GCP Amazon have more cloud services. Within a minute AWS ec2 instance deployed with the help of AMI and ready to use. Adopting AWS services we get lots of benefits like cost save, time save and improve our productivity. We never face any connectivity issue till now touch wood. I just want to say...USE IT!!! We are very happy to using AWS services. It is linked to your amazon account so that makes logging in easy - I really like that a lot it is so convenient and it amazes me that more companies do not offer this option. Having to manage several accounts and passwords is a bit of a pain. navigating is difficult, the tutorials which are not written by amazon people are misleading - but they allow you to practice at the same time. I didn't like that some of the pricing was opaque vs. transparent. be aware of the pricing and where they might get you on little things as they did me. A call to customer service cleared it up but it still took up time to make that call. shut off your free trial if you are not using it and do it well before it expires. Storage on demand when we ran out, critical skills for managing in the cloud which is what everyone is moving to. I mostly use their EC2 and relational database managed services, and they're super easy to use whether you're a linux systems admin God or a newbie. I'm somewhere in the middle and find everything natural to set up, their portal/dashboards are great, billing is great, etc. I think since Amazon is doing such a great job adding new services/products, that sometimes it's hard to keep up with what all the services do and the problems that they solve. It's almost too much of a good thing, so can't really complain about that too much. They've done a great job for putting so much on the web portal. There's a lot to learn, but our company and myself got a ton of value out of the AWS Reinvent Conference. I learned a lot about new up and coming services/products. At work, our team mostly uses their Aurora and Redshift services. I know our IT manager has mentioned how much easier and flexible it was moving our production database over to AWS and how much cheaper it is. Our system admins love how much easier their jobs are when we need to rescale, and they don't have to do all-nighters anymore. I think Redshift has really kicked up our reporting services. Sometimes for my own freelancing work, I setup small linux EC2 clusters to host webservers, but honestly, I find Digital Ocean to be simpler for configuring a little headless linux bos. "AWS - Amazon beating the market competition once again!" With AWS - you can definitely reduce the cost of your services by 40%. There's so much that AWS offers for services that you can get the job done without paying the extra money to companies. What I definitely dislike about AWS is the interface of the system. There's sooo many options it becomes complicated to figure out where you need to go and what to use. It can easily be mistaken for being in a different category while looking for something. IF you are still considering switching to AWS, I would like to ask you to pull the trigger. Since you know what AWS already is, I assume you understand how to manage website resources. The only thing I would advise you is to make sure you understand the UI and where each item is. For some of the members on my team, I had to outsource somewhere else because AWS can be confusing if you do not fully 100% understand where everything is. The business problems I was solving with AWS is cost. Money is everything when you run online services. If you're more than tech savy and run more than 3 websites for profit, AWS is the solution you want to save yourself more money while profiting more! There's no better service out there! "M2E and AWS Synchronization is Not Seamless"
The ad hoc reporting is a nice feature, and being able to update product details and review at the item level. The inventory and catalog dashboards have a user-friendly UI and make it easy to review current listing and mass upload new listing. There needs to be an easier integration with M2E. Also, the suppression criteria seems like a bot is crawling listings, and making false resumptions and suppresses listing, then once reviewed pass the listing criteria. It is very frustrating to manage as merchant and seller. We are able to optimize business performance through cross-channel retailing. For certain categories, we perform higher on Amazon than on our site, that AWS helps fill those gaps. It's great that Amazon is now doing the patch management, monitoring, security, backup, operational process and so on that you need for your cloud. Things that you'd need to hire internal talent to do, can now be hired the same way as you "rent" infrastructure, cloud, etc. It is a real convenience and a win for companies that don't have that talent in-house - or don't want to hire it. I would say the price is higher than average, though you do get what you pay for. They do have top-notch people working for them. The nice thing here is our cloud needs can be taken care of from end to end - consulting, architectonic, server maintenance, monitoring, even just rebooting the computer, all of that is done with AWS Managed Services. It's a very nice service to have your own IT crew working for you. "Managing AWS Through a Dedicated Self-Service Console"
I like the ability to use and apply AWS security best practices to our infrastructure and the ability to configure default AWS security capabilities, such as Identity and Access Management (IAM) roles and EC2 security groups. Take it for a test ride first and look for the specific solutions that fit your enterprise. Also, record how the updates add value to the reasons you are trying and/or have purchase the managed services. The biggest problems are managing access management and the ability to remove the complexity of managing multiple authentication mechanisms. Having a single place that is backed up at all times to store all of my web assets is a great luxury, and something that every developer should think about trying out. It could be easier to use, and the pricing could be adjusted a bit. It is definitely one of the cheaper options our there (from my research), but that doesn't necessarily mean it is affordable to those trying to make ends meet. If you're skeptical, check out the free trials. I believe they still have a 12-month free trial so there is no reason to say no! I used to have all of my web assets stored on a local drive that would always stay on (mac mini), but after crashing once I realized that I should be move everything over to another entity who is better at it than myself. Can use multiple services with ease. There will be some learning curve involved when someone new is going to use any of the AWS services. Even though there is clear documentation being developed for this, to be used in existing systems AWS requires a significant amount of time. "Best web services out there"
It has revamped my entire business and my work schedule. It's made my life easier than ever before. "AWS - The Market Leader! " - Accessibility. It's really simple - you get your own virtual machine instance. Enables you to deliver demos to stakeholders whenever and wherever necessary. - Complete control and ability to enable/disable capabilities on a need basis. - Reduced cost of managing services. - Security, Scalability and Stability. Not much to dislike with this product but the licensing can be expensive and also it restricts your ability to reserve an instances and upgrade at a later point of time. - AWS is an excellent solution for remote hosting of virtual machines. - Enables teams across the Globe present Product demos to Stakeholders. - Less cost compared to other Cloud platforms available. - Infrastructure as Code (IaC) & Infrastructure Management. - Migrating our applications to AWS could based system. - Computational abilities for hosting our web service apps. "It delivers what it promisses"
It's the easiest interface comparing to other providers, at least easiest for technical people. It has a very good interface that let you know where you need to tune the parameters to achieve what you need to your scenario. Most of the features a very easy to find, and you have the possibility to replicate the setup for other deployments easily. The cost may be better when using some resources like GPU computation. Try it with the free option they provide, and you will see the power of using it. Creating servers to run SAAS that I've built. It's reliable, and I have needed the backups sometimes, and that kind of snapshots helps a lot. Also it's very easy to create those snapshots and use them, the interface don't make us lost when using this product in anyway. "An amazing service for those who need substantial and reliable computing power"
Getting AWS was one of the best decision we made our startup company, it offered us to get things done more quickly when trying multiple iterations of our 3d renders for our presentations with our partners so we could focus more on the creative side of the process (pun intended). Nothing to dislike as it only helped us whenever we were in a hurry (or hungry) for some computational power! "DevOps is what you say it is"
I can't count the number of times I've been asked "what is DevOps?" I like to think that as our grandfathers were building the assembly lines and and distribution centers they were doing Development Operations in the manufacturing industry. DevOps is to apps, web services, and software products as industrial design and machining is to part milling, conveyor belts, and packaging. The AWS ecosystem is highly specialized to Amazon's idea of what distributed web services should be. With a global company and a small staff AWS allows us to get services where we need them. "Review of Amazon Web Services"
AWS provides on demand cloud computing services to customers which includes virtual machines running all the time on Amazon servers deployed worldwide. It provides subscription based services according to the Customer requirements of OS, RAM, storage, pre poaded applications etc. Companies can provide use them through the modern browsers and can also configured machines for their customers which makes it really easy and hassle free to setup the system. It makes the work easy and fast. It provides many services like storage, management, AI, computing but most of the services are not directly deployed over the machine. They provide them through external API which sometimes cause security issues. The flexibility and control of the platform is of the best in the industry. Full control and ability to enable/disable certain functions and capabilities on an as needed basis allow AWS to surpass and succeed over the competition. Implement services in a timely fashion to make full use of the platform. We have ultimately reduced the cost to maintain and run our environment in regards to hardware costs and upgrades. Making AWS a no-brainer for any IT Professional. "Makes mac and pc life easier"
There are certain programs I don't have access to running on my macbook pro. Using AWS gives me the ability to still utilize those programs to grow my business. It's not expensive and can be set up quickly. It can be quite confusing to learn and a bit sluggish depending on how much you're looking to invest. If you aren't trained in coding or back end stuff, it can be confusing. If you're looking for a simplified way to access primarily Windows based software, AWS is perfect. You can still work from anywhere while also having access to all of your software. AWS allows me to run programs that I typically don't have access to without paying the extra cost of buying another computer. AWS Managed Services provides simple and efficient means to make controlled changes to infrastructure. AWS Managed Services enables you to quickly and easily make the request through a dedicated self-service console. With automation and integration with your existing ITSM service catalog allows you to quickly stand up applications in either test or production environments through a self-service portal. Definitely download and become accustomed to all it has to offer! I am a consultant and the business model I use fits perfectly with AWS MS. I will not go back to another type of software ever. * We monitor all AWS Managed Services reviews to prevent fraudulent reviews and keep review quality high. We do not post reviews by company employees or direct competitors. Validated reviews require the user to submit a screenshot of the product containing their user ID, in order to verify a user is an actual user of the product. Hi there! Are you looking to implement a solution like AWS Managed Services?